John C. Maxwell says that if you have no one following you, then you’re not a leader. I say that if you have people following you, you better make sure that you are listening to the right people to give the people who are following you the best words of wisdom you possibly can! Not everything you think is the best and there is always others who are much wiser than you–this I have learned in my 50+ years. I asked my grandfather when he was 91 years old this question: “Grandpa, do you think that you’ve arrived now that you’re 91 years old?” I think the wisest way he would’ve answered that question was with the words that he gave me: “Son, I’m just scratching the surface!” Even my grandfather at 91 years old was still learning and still growing. He was a leader for many years. He had his own businesses and he worked for others in management positions. He was a leader in his church and even planted churches and led people. My grandfather taught me many lessons on how to lead and what to watch out for in my leadership. He taught me the snares of those who would try to cause me to fail and how they would set traps if I was walking unaware. My dad is now 80 years old. I’ve watched him all of these years and the way that he has worked in various positions for others. He has been in management, owned his own businesses, and led people all of his life. He has led music, taught classes both secular and in churches, and helped my grandfather plant the churches that he planted. He learned from his dad how to lead and he has always been able to have people follow him. Between he and my grandfather–my two greatest professors in life–they taught me much about leadership: it’s all about building relationships with people. Always seek to reach out and touch someone and build relationships with them. My grandfather and father never met a stranger. To this day, I will receive texts from my dad when he’s in the Country and he will just send me words of wisdom to live by, something to think about, something to consider for the day, something about relationships. My professors from college were exceptional. Many great men taught me how to lead. To this day I have kept up with many of my former professors and still glean from their studies both past and present. I seek them out because I want to know what they know now. I learned what they knew then! And they are still willing to teach me and give me the knowledge, understanding and wisdom that they have learned–and I’m not having to pay the course fees anymore (who’s using wisdom now?!?)! These men have taught me great lessons in life on leadership. They have people that they have taught–some of them now for over 40-50 years–and their pupils are literally all over the world teaching others what they learned from these men and they still communicate with these same professors as I do. Leadership with these men is evident as we still follow them. Leadership advice should come from those we trust. People who have been there, who have led others–who have actually had followers. It is foolish for any of us to listen to those who have never led. If we’re listening to someone who has never had any followers and who have never led people, just because they’ve read a bunch of books about leadership, it doesn’t mean that they are leaders or know anything about leading. Just because they read or write the latest blogs on leadership, it doesn’t necessarily mean that they are leaders. Remember what Maxwell said, if they don’t have anyone following them, they are not leaders! Let me give you an example. Say that you are about to start your own business. You are planning to open up your own Coca-Cola Bottling Company. You decide to come to me for advice on how to begin your bottling company. Now I’ve never owned a Coca-Cola Bottling Company. I don’t even know the first thing you’d need to do to open up your own bottling company, so I tell you that what you need to do is first rent a large warehouse and then purchase a whole bunch equipment like forklifts, shelves, bottles, crates, and trucks. You also need to hire a bunch of employees and pay them really good wages with benefits so you don’t lose any of them to the Dr. Pepper Bottling Company down the street. You can do all of this with around $100,000 to start. Do you honestly think that I am going to be able to give you good advice to start your Coca-Cola Bottling Company? Of course not! Don’t listen to me when it comes to that! I’ll be the ruin of your bottling company dreams! If you listen to my advice and follow me, then you’re foolish. If you run away from me and seek out someone who has started their own Coca-Cola Bottling Company, has experience in running their bottling company, and is willing to work with you to give you the knowledge, understanding and wisdom to have your own bottling company, go with them! Seek them out! Follow them! Learn from them! Receive from them all you can! 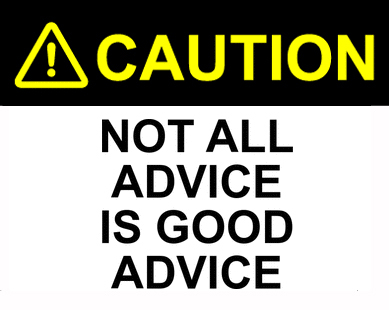 So with whatever it is that you are doing, whether it be in work or ministry, seek advice from those who have been there. Find someone who will invest in you, spend time with you, give you words of knowledge, understanding and wisdom that will advance the tasks and goals that have been set before you. Listen to those who are going to help you, not hinder you. You will face opportunities and challenges, but you need to have those whom you trust to help you through those times. If you don’t have someone, you need someone–find someone–don’t do this thing called leadership on your own. For some really great and healthy gut health nutritional products, click on the Plexus Slim picture above! !